Thinking 'bout life, thinking 'bout you and me. 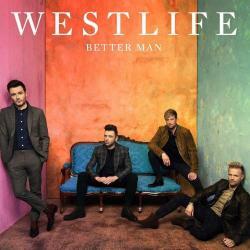 BETTER MAN es una canción de Westlife del año 2019. La letra ha sido escrita por Ed Sheeran, Fred Gibson, Steve Mac; publicada por Sony/ATV Music Publishing LLC, Universal Music Publishing Group.